Rental properties in Omaha and Lincoln would be inspected regularly under a bill considered Jan. 22 by the Urban Affairs Committee. 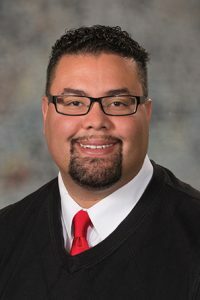 Omaha Sen. Justin Wayne introduced LB85, which would require that most residential rental properties in metropolitan and primary class cities be registered with the city and inspected at least every three years. Omaha is the state’s only metropolitan class city and Lincoln is the only primary class city. Properties owned or inspected by a housing agency would be exempt. Cities would be allowed to charge landlords a fee to cover the cost of the inspections, and levy fines on buildings that are not complying with local building codes. Unpaid fees and fines would become a lien on the applicable property. Wayne said LaVista and South Sioux City have similar programs, while the state of Iowa requires regular inspections of rental properties in cities of at least 15,000. Wayne said he introduced the bill after roughly 500 immigrants living at the Yale Park apartment complex in north Omaha were forced to evacuate last fall because of gas leaks, unsafe electrical circuits and rat and insect infestations. Substandard housing is a common worry among the residents of north Omaha, Wayne said, some of whom are afraid to raise complaints. 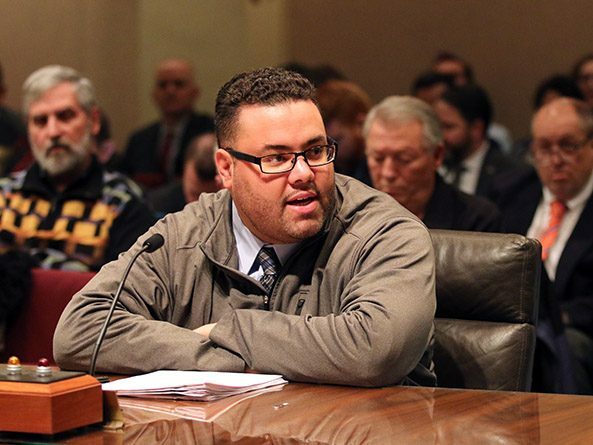 The bill is necessary, he said, because landlords have failed to self-regulate. Constance Jones testified in support of the bill, saying it would prevent situations like the one she experienced after renting an apartment in north Omaha last October. Jones said that her apartment had uneven stairs, no heating on the second floor and was infested with cockroaches. The city conducted an inspection at her request that revealed 29 code violations, she said. A month after the inspection, Jones said her landlord terminated her lease. “Please help me to understand how that’s not retaliation?” Jones said. Paw Htoo, who has served as an advocate and interpreter for the refugees from Myanmar who lived in Yale Park, said many residents there felt as if they were living in another refugee camp. Htoo said the most harrowing story she heard was of a man who awoke in the night when the ceiling of his apartment collapsed on him. Htoo added that many resident felt ignored or taken advantage of because of the language barrier. Kennetta Wainwright, who rents an apartment in Omaha, spoke in opposition to the bill, which she said would raise rents for all tenants. Lynn Fisher, a landlord in Lincoln, also spoke against the bill. He said he had sympathy for those who have lived in substandard housing, but said the law should target negligent landlords rather than burdening all property owners. “The challenge with the government trying to solve the problem is that it always costs more,” Fisher said. Omaha Planning Director David Fanslau said the city is working to improve housing enforcement. Fanslau questioned the need for LB85, which he said could cost Omaha up to $4 million per year to implement.